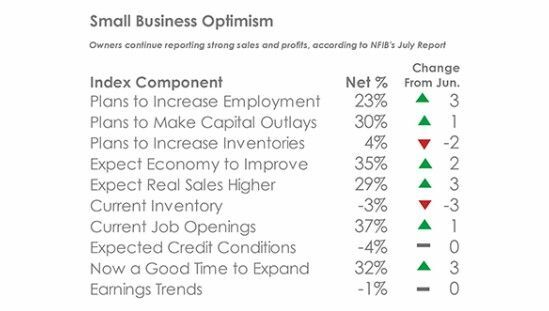 The NFIB Small Business Optimism Index survey recorded its second highest reading in the survey’s 45-year history coming in at 107.9. The survey was within a whisper of the record high of 108 recorded in July 1983. The number of owners planning on creating new jobs, and those with job openings, came in at record highs. Those planning on creating jobs were a seasonally adjusted 23%, up 3% from June. More owners reported having job openings they could not fill; current job openings rose 1% to 37%. This was cited as the number one business problem. The Federal reserve bank of NY issued its quarterly report on household debt and credit. 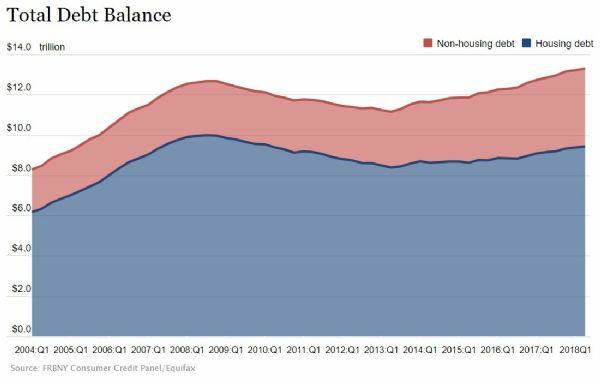 Total household debt increased by $82 billion (0.6%) to $13.29 trillion in the second quarter of 2018. This was the 16th consecutive quarterly increase, the total is $618 billion higher than the previous peak in the second quarter of 2013. Lower students loan debt may help free up some first-time home buyer money. A rebound in the Turkey equity market (TUR + 8%) helped propel Wall Street higher today. Home construction/builders, retail and financials are the leaders. The Retail Index, XRT, is up 1.9% and breaking into all-time high territory. Tapestry (TPR…formerly Coach) is up 13.5%, Advance Auto Parts (AAP) + 8%; Abercrombie & Fitch (ANF) + 6.9% and Michael Kors (KORS) + 3.4%. Metals and materials are laggards for the second day. The Metals and Mining Etf, XME, is lower for the second day in a row, down 0.50%.